I have yet to start this series. They sounds amazing though. OOh nice! 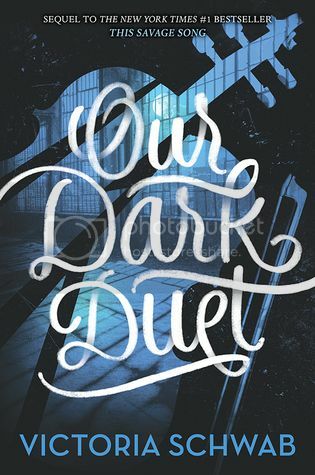 I tried sooo hard to wait to read This Savage Song alongside Our Dark Duet, but I failed miserably! LOL! Cannot wait to read this one!! Super excited to read this book too! I loved This Savage Song - but who didn't? Schwab is such a great writer. I hope you enjoy this book when you get a chance to read it!